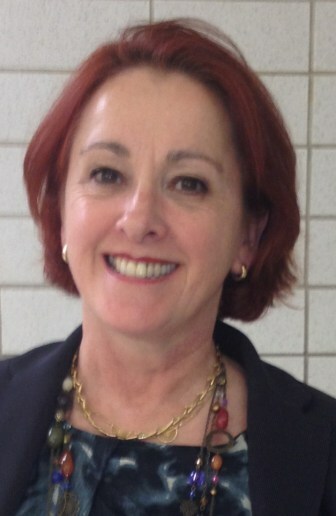 Lycée Français de la Nouvelle-Orléans charter school parents may have met their new chief executive officer Thursday night in veteran educator Mireille Rabaté. Rabaté, the lone finalist for the charter school’s top spot, hosted a town hall style meeting as part of her day-long interview Thursday. “We could not imagine a better candidate for Lycee,” said CEO search committee member Carol Asher, as she introduced Rabaté. A French national, Rabaté has dual citizenship in the U.S. and France and has spent the last 30 years in education, according to her resume. She is currently assistant head and middle school principal from the French American International School in San Francisco. Asher spoke highly of Rabaté earlier in the day as the committee recommended the board hire her for the chief position. When Rabaté introduced herself to the crowd of about 30, including the quorum of board members scattered throughout the school’s cafeteria, she told the audience there was one way to change the world: education. A calm and collected group of parents scribbled their questions on comment cards and quietly listened as Rabaté responded. The audience was engaged yet tranquil, unlike more heated meetings that have taken place over the last six months as the school community has struggled with both board and administrative turnover. After fielding the crowd’s first few questions on her feet, Rabaté, who had been interviewing one way or another since 8 a.m., took a seat and continued the dialogue (listen to the audio here). Rabaté, who has worked in San Francisco since 2009, said she was up to the challenge the young public school would present. She outlined her hiring practices, leadership philosophy and said limited public funds did not intimidate her after years of experience in the public system in France. Her pillars in teamwork, communication and creativity resounded in all of her answers. She also acknowledged the school’s fractured community would need nurturing. Though she said differences in opinion could also be healthy. Rabaté even slipped into fluent French at one point, speaking through the microphone to a teacher in the audience to confirm exactly how many skills the French national curriculum measured as she explained parts of the curriculum to parents. “About 80,” she said. Lycée draws many of its teachers from France through the Council for the Development of French in Louisiana. Rabaté said professional orientation would be essential for the visiting teachers. She also touched on the limitations of J-1 visas, which allow those individuals to teach in the U.S. but also require they return to France. Lycée teacher Julie Benachour asked if Rabaté thought 28 students are too many for a third-grade class. Rabaté said it sounded a little high, but that research has shown the most important factor in a classroom is the adult standing in front of the students. Mary Wanda Fandino, a Lycée parent, asked Rabaté to explain any relationship she may have with Lycee’s former CEO Jean-Jacques Grandiere. Fandino said she assumed they knew each other, having both worked in specialized French schools in San Francisco. Rabaté said her relationship with Grandiere was professional and amicable. Past relationships with school administration have been a sensitive topic as recommended board candidate Mary Jacobs Jones was thrown off the slate after board members discussed her history with Grandiere at a public meeting last month. Rabaté then made her rounds in the cafeteria, fielding individual questions, as parents and board members discussed the day’s proceedings. The town hall meeting was the final portion of Rabaté’s day-long interview. After an 8 a.m. interview she toured the school and then dined at Lilette’s on Magazine Street with three board members. Board members trickled in to a 2 p.m. special meeting, and the board moved immediately into executive session upon reaching a quorum at about 2:15 p.m.
Rabaté’s interview lasted about two hours and the board deliberated for 30 minutes after she left the room. The meeting adjourned at about 5 p.m. Members Paige Saleun, Jean Montes, Catherine MacPhaille, Tim Gray, Alysson Mills and Erin Greenwald were present for the afternoon interview. Member Elizabeth Rhodes arrived late to the special session and left early. Members Saleun, Montes, MacPhaille, Gray, Mills, Greenwald, and Ben Castoriano also attended the town hall meeting. Parent Charles Varley said he thought Rabaté was articulate and knowledgeable, and hoped she would be able to meet with teachers. Varley said over the last six months the school has lacked “cohesive, comprehensive and strong leadership.” He said he hoped the search committee had finally found someone to fill that void. Raphael Gang, chief of staff in the state education department’s Office of Portfolio, was in attendance. “The department is excited about the progress the school has made,” he said after the meeting. The board is expected to vote Monday night on whether to extend Rabaté an offer for the school’s top spot.